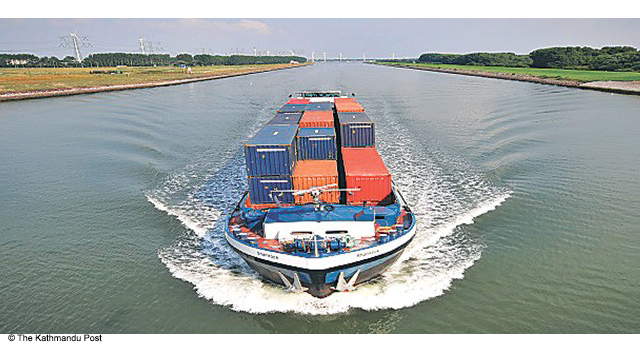 This commentary by Ms. Dikshya Singh, Research Officer at South Asia Watch on Trade, Economics and Environment (SAWTEE), puts forward that the decision to connect India and Nepal via inland waterways is a "landmark decision" that is worth pursuing. While modalities have yet to be set by the two Governments, the option to connect Nepal to India's waterways promises to further boost Nepal's trade facilitation and make India's inland waterways infrastructure project more financially viable. This post first appeared as an op-ed on the Kathmandu Post. Apr 18, 2018-Enhanced connectivity between Nepal and India was the theme of Prime Minister KP Oli’s recent visit to India. 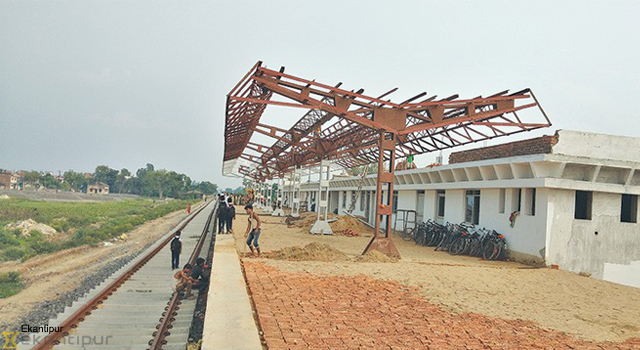 The inauguration of the Integrated Check Post at Birgunj and possible expansion of a rail link to Kathmandu were outcomes along expected lines. But the decision to connect Nepal and India through inland waterways stands out in its significance. The joint statement has hailed the ‘agreement’ as a ‘landmark decision’ that will ‘contribute towards overall economic development of the region’. It is indeed a landmark decision as river connectivity has hardly garnered any mention in formal communications between Nepal and India in spite of water being the subject matter of numerous joint commissions. Pursuant to the ‘agreement’, the two leaders directed their respective officials to formulate procedures and modalities to include inland waterways as an additional means of transport in the Protocol to the Treaty of Transit between India and Nepal. It is worth noting that the joint statement only says that the current agreement is on providing additional access to the sea for Nepal, not regarding developing inland waterways in Nepal. Basically, this decision is about allowing cargoes originating in and bound for Nepal to use Indian inland waterways as an additional mode of transport. Currently, Nepal-India trade can take place through 27 transit points including airports operating direct flights between the two countries. Likewise, for third country seaborne trade, Nepal can use India’s ports at Kolkata, Haldia and Vishakhapatnam via 19 designated routes. Similarly, cargoes on trains loaded from any of these ports have to be routed to Birgunj. Following the agreement, Nepali cargoes may get access to India’s National Waterway 1 (NW-1), the 1,620-km stretch from Haldia to Allahabad in the Ganga-Bhagirathi-Hooghly river system. The Ganga and Brahmaputra rivers have powered India’s inland water transport since ancient times. However, the advent of railways in India followed by the disintegration of India into different countries at the end of British rule fragmented its waterways and shrunk the importance of inland waterways. According to the Indian Ministry of Shipping, the present share of cargo movement through inland waterways is just 0.4 percent of the total inland cargo movement. In order to reinvigorate India’s inland waterways, the government of India launched an ambitious Jal Marga Vikas Project in the 2014 Union budget statement. Under the project, the Indian government is spending about $800 million on developing the necessary infrastructure on the NW-1 alone. The infrastructure on the Ganga River will consist of multimodal terminals at Haldia, Sahibganj and Varanasi; two inter-modal terminals in Kalughat and Ghazipur; five roll-on roll-off terminals and a new navigational lock in Farakka, river information system, vessel repair and maintenance facilities and roll-on roll-off terminals. They are envisaged to be completed by December 2022. Considering the scale of the infrastructure project, it is worthwhile for India to pursue routing Nepal-bound cargo to inland waterways to make the project financially viable. Nepal imported goods worth Rs974 billion and exported goods worth Rs72 billion in 2017, mostly using Indian customs including transit trade, according to Nepal Rastra Bank’s trade data. 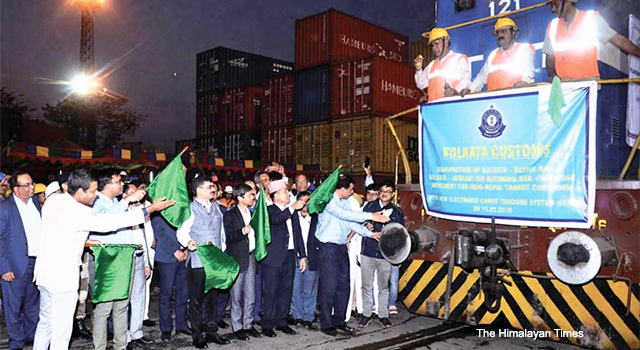 The Inland Waterways Authority of India is building a container terminal at Kalughat near Patna in Bihar aimed at rerouting a part of Nepal-bound cargoes that are transported by rail or road. Similarly, the Ghazipur terminal under construction in Uttar Pradesh is also being developed with a dedicated terminal for exporting liquefied natural gas to Nepal. For Nepal, having an additional mode of transport is always desirable for enhanced trade facilitation. The advantages of inland waterway transport are based on its superior safety record, reliability, low cost, high energy efficiency, small carbon footprint and low infrastructure costs, among others. In India, the cost of freight per tonne km is around INR1.41 by rail, INR2.58 by road and INR1.06 by inland waterway, according to a study conducted by India’s government owned engineering consultancy RITES Ltd. The question here is whether inland waterways will make freight transportation faster and cheaper for Nepal. Answering this will only be possible when officials of the two governments draw up modalities regarding the use of India’s waterways. 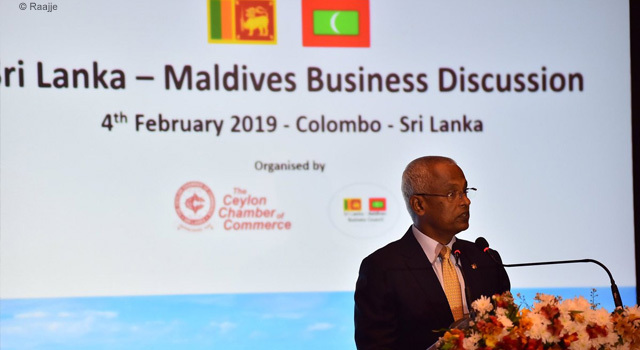 There is a need to sort out issues related to trade infrastructure such as integrated customs points, and procedural intricacies related to transhipment, a liabilities handling regime in a multi-modal and inter-modal system, and documentary requirements, among others. If using waterways involves additional loading and unloading at ports with added documentary requirements, it may not be as cheaper or swifter as expected. 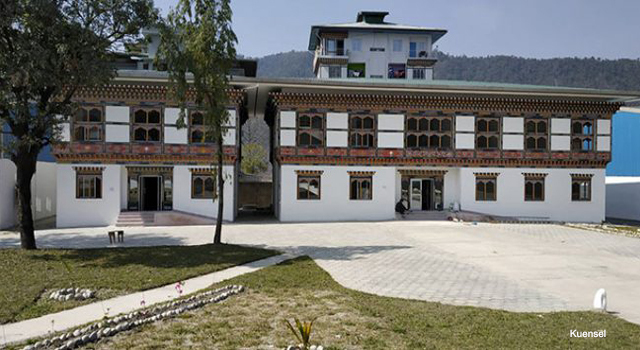 Thus, it is very important for Nepal to carefully assess each dimension before signing on the dotted line. 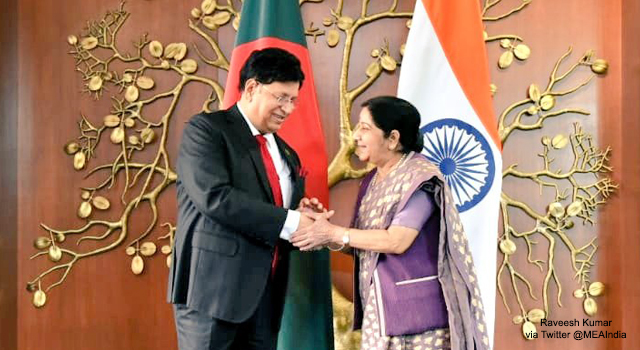 Meanwhile, accessing Indian inland waterways is only the first step; the larger goal should be establishing similar connectivity with Bangladeshi waterways through Indian waterways. 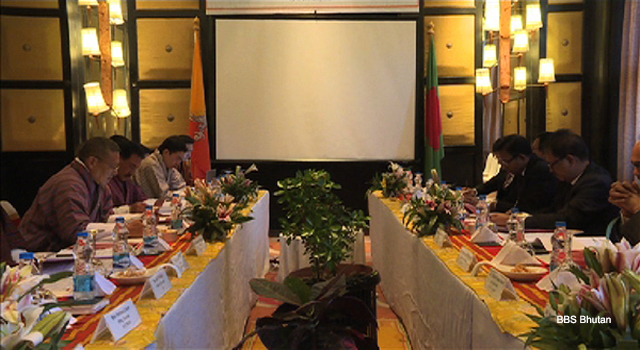 Bhutan has already signed a memorandum of understanding with Bangladesh to allow Bhutan’s cargo to be transported through Bangladesh’s designated inland waterways. Likewise, India’s push towards inland navigation may also rouse Nepal to seriously explore developing its large rivers into viable inland waterways. Policymakers in Nepal have always considered inland waterway transport to be a far-fetched idea. India is developing parts of the Sapta Gandaki, Koshi and Karnali Rivers within its territory as waterways. Hence, it would be prudent for Nepal to explore the navigability of the sections within its territory. 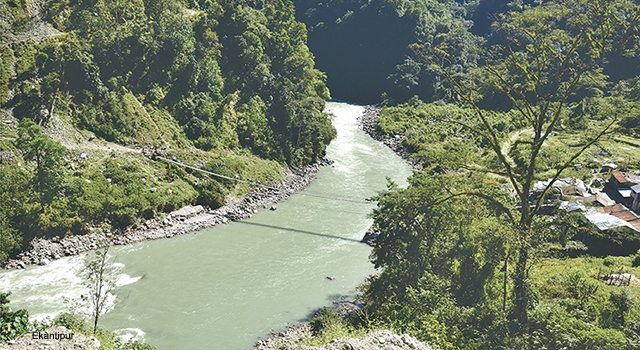 Undoubtedly, Nepal’s difficult terrain and river gradient may make navigation a difficult feat, but at least a proper conclusive hydro-morphological study is necessary. Moreover, the absence of legal and policy frameworks on water transport has held back the pursuit of inland navigation. Prime Minister Oli’s desire to sail ships flying the Nepali flag on the high seas, which had made him a target of many memes and jokes, could at least be successful in launching modern inland navigation in Nepal.